The anticipated North Korean third nuclear test may trigger an eruption of Mt. Baekdu, a dormant volcano, which is located not far from the North Korean Punggye-ri nuclear site, claims a South Korean geologist. "A nuclear test will probably exert a direct or indirect impact on volcanic activity at the mountain, and this is worrisome,” said Yoon Sung-ho as cited by Yonhap News agency. Yoon is a geological scientist at Pusan National University, who is considered to be the South Korean leading expert on Mt. Baekdu. In the past he’s commented on the increased emission of sulphur dioxide from the volcano. This is interpreted as a sign of magma expanding, as volcanic gases undergo a tremendous increase in volume when magma rises to the Earth's surface and erupts. Backing the scenario of the growing eruption threat is the changing height of Mt. Baekdu. It has risen nearly 10 centimeters since 2002 due to the expanding magma pool. 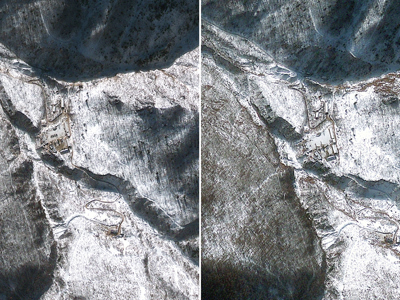 Also in 2006 a satellite detected an increase of the surfaces temperature just days after North Korea conducted an underground nuclear test in its northern territory, which may have been a catalyst reactivating magma flows, says the South Korea-based newspaper The Korea Times. At 2,744 meters, Baekdu Mountain is the highest mountain in the Korean peninsula. It is a volcanic mountain located on the border between North Korea and China. There is large crater lake, called Heaven Lake, in the caldera atop the mountain. The Baekdu Mountain has been worshipped by the surrounding peoples throughout history. Both the Koreans and Manchus consider it the place of their ancestral origin. Mt. Baekdu is a tourist destination for foreigners. Koreans argue that recent activities conducted by the Chinese on their side of the mountain, such as promotion of the tourism and attempts at registration as a World Heritage Site, are an attempt to claim the mountain as Chinese territory. Mt. Baekdu is an active volcano located on the North Korean-Chinese border with its last activity recorded in 1925. The volcano lies about 110 kilometers from the Punggye-ri nuclear site. Another test will certainly affect the volcanic activity at Mt. Baekdu and may even lead to a massive eruption, said Shin Young-soo, a member of South Korean Parliament's Construction and Transportation Committee. He added that in 2010 underground magma was detected near Punggye-ri test site according to the information by China's earthquake monitoring office. The first nuclear test conducted in Punggye-ri in 2006, with an explosive yield of about 1 kiloton, resulted in a magnitude 3.6 tremor.The second test was carried out in 2009 and the yield was estimated at 2-6 kilotons, which led to a tremor with a magnitude of 4.4 on Richter magnitude scale, according to The Korea Meteorological Administration. 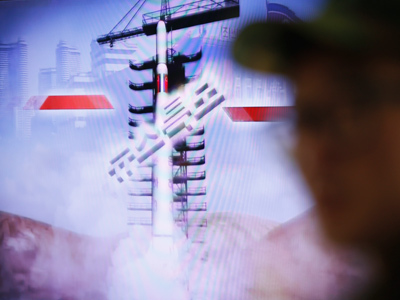 North Korea watchers speculated that the third test may lead to the detonation of a boosted fission weapon with the yield around 20 kilotons, Yonhap News agency reports. If true, this can be compared to the Nagasaki bomb estimated yield of 21 kilotons dropped by the United States on Japan in 1945 during World War II. Meanwhile, Japanese scientists connected previous eruptions of Mt. Baekdu with major subterranean stresses in the region. According to Hiromitsu Taniguchi a volcano expert from Tohoku University,Mt. Baekdu erupted at least six times between the 14th and 20th centuries,and every time it followed an earthquake in Japan. 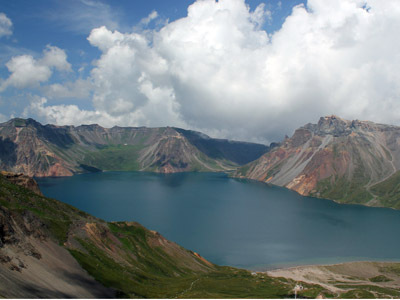 North Korean volcanologists observed abnormal activity at a lake atop the mountain after the March 2011 9.0-magnitude earthquake in Japan, The Korea Times reports.The lake’s water was shaking and splashing, causing a 60 centimeters rise. An eruption is likely to cause severe flooding of the neighboring area within a 30-kilometer radius, causing devastating damage of infrastructure and endangering people’s lives. The volcanic ash spreading 10 kilometers into the atmosphere will affect air traffic in the Koreas, China, Russia and Japan disrupting business activities, Yonhap News agency says. 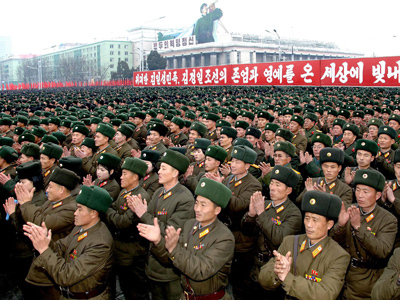 On January 24 North Korea announced that it is planning to conduct a third nuclear test. 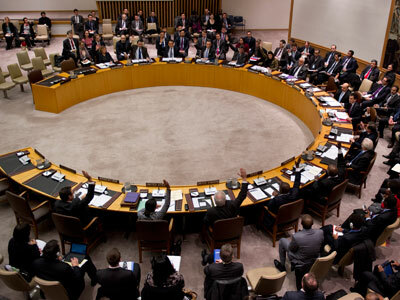 It comes in the wake of sanctions enforced by the UN Security Council, following the December 12th long-range rocket launch. 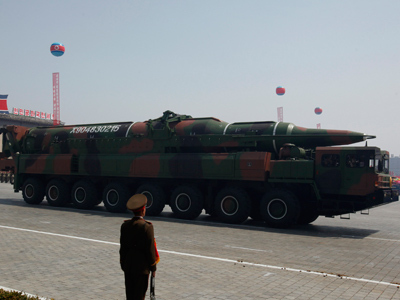 The launch was in violation of UN resolutions, banning the country from developing missile or nuclear technology after nuclear tests in 2006 and 2009. In the beginning of February intelligence reports from South Korea detected activity at two tunnels at the North's Punggye-ri nuclear test site, causing speculation that Pyongyang is going to carry out two simultaneous tests. 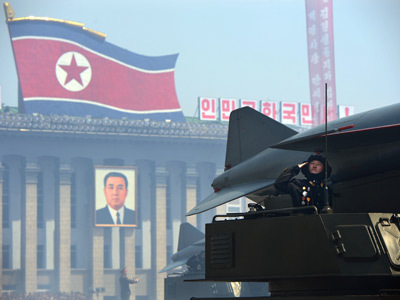 On February 5th North Korea threatened to take stronger measures and go beyond its promised third nuclear test, KCNA state news agency reported.